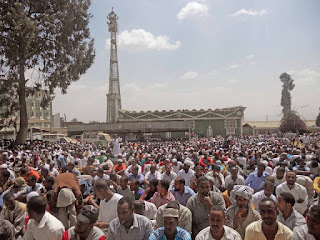 April 22, 2012 (Durame) – Addis Ababa was rocked with the largest protest in the city's history last Friday afternoon when hundreds of thousands of Ethiopian Muslims gathered after Friday prayers to demand an end to oppression and interference in their religious affairs. The protesters came together after Zenawi's autocratic administration had put an Ahbas in charge of the religious affairs of Ethiopin Muslims with the aim of spreading Ahbash ideology. "Meles Zenawi must go, the dictator has declared war on Ethiopian Muslims. Our solidarity last Friday shows we are fed up with him and backing down is no longer an option for us," said 24-year-old Mohammed by phone. "Right now, Addis Ababa is tense. You can feel a revolution being formulated. No one fears the tyrant anymore. God willing, the humiliation and oppression our people have suffered will have a quick ending," Mohammed added. Over the past few weeks, tension have been on the rise between Ethiopian Muslim communities and the government after thousands of Ethiopian Muslims were apprehended and tortured on suspicion of trying to topple Zenawi's administration. 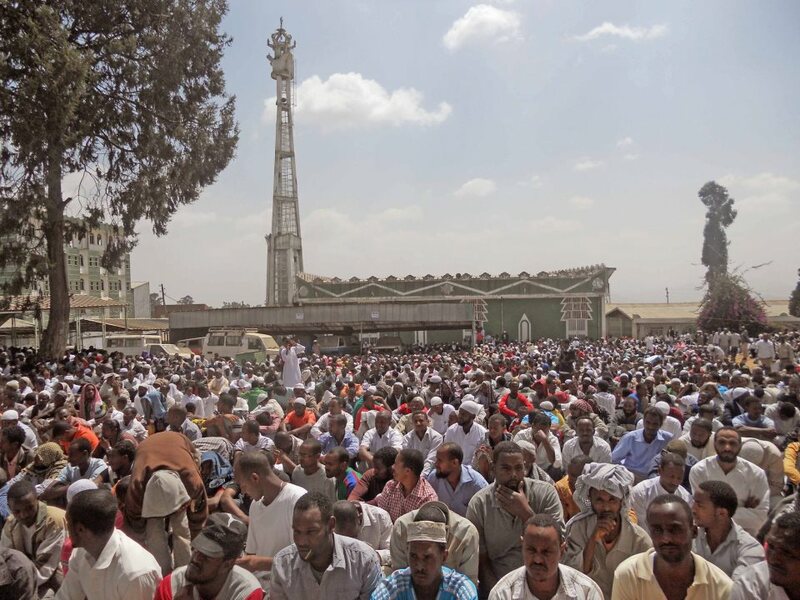 As Ethiopian Muslims promise more demonstrations, thousands of Ethiopian security agents have been called on from the Ogaden, Gambela and Northern Tigray regions to Addis Ababa to clampdown on further demonstrations. It is to be recalled, in 2005, a total of 193 Ethiopian protesters were shot and killed by Zenawi security forces after demonstrators took to the streets to dispute election results that were widely criticized by independent observers for failing to meet international standards.